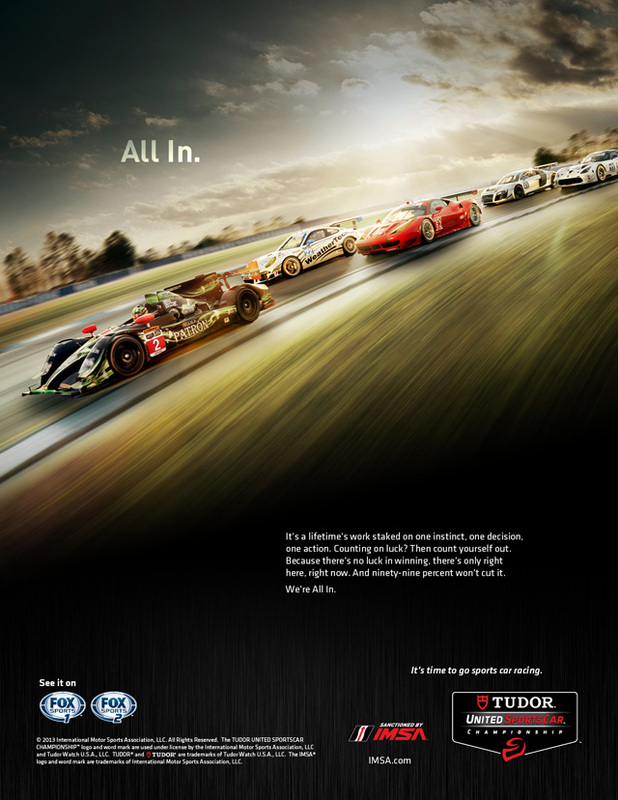 For IMSA’s 2016 print and digital campaign the challenge was to capture not only the amazing cars and competition that the series is known for, but also the flavor and ambiance of the whole event. Instead of relying on a variety of images, RACER Studio collaborated with longtime-associate Paul Laguette to compose an original illustration that melded together various emotive aspects of an IMSA weekend. The result creates a positive disruption to rise above the sea of typical imagery. 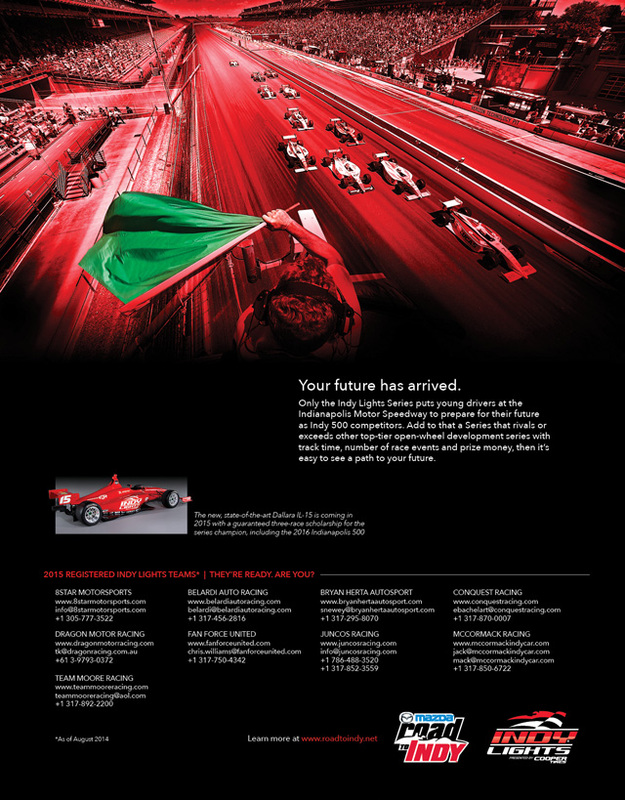 This integrated media campaign was designed to promote the balance of the IndyCar racing season by leveraging the big spike in visibility achieved around the Indy 500, as well as the unique attributes of the series. The campaign included print, digital and video components. We were commissioned to create an integrated media campaign to launch the all-new “Tudor United Sports Car Championship” identity of the recently united IMSA and Grand-Am racing series. The campaign included print, digital and video components, as we as campaign assets to promote the related North American Endurance Cup. 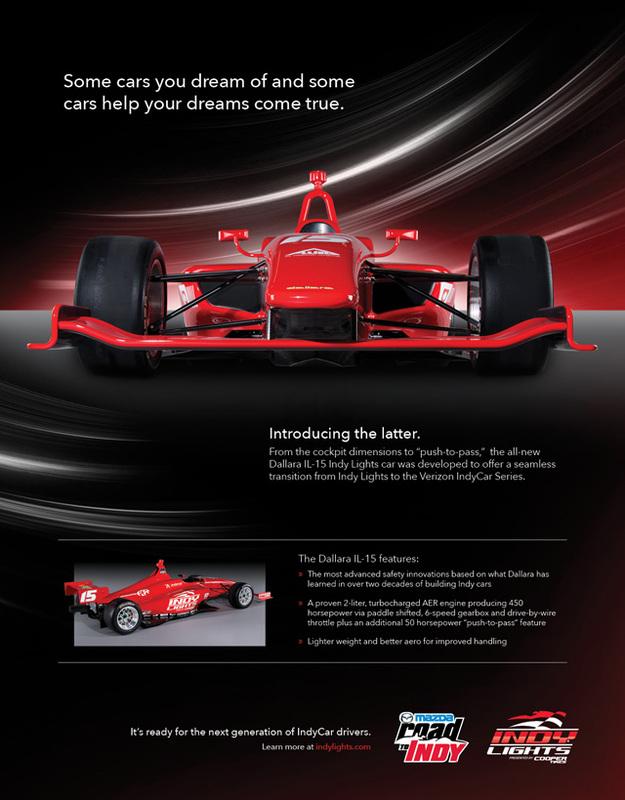 This is the launch campaign for the new Indy Lights car and the entire Mazda Road to Indy ladder. It included print and digital assets.